What a way to finish off the season in this years Red Rose League. 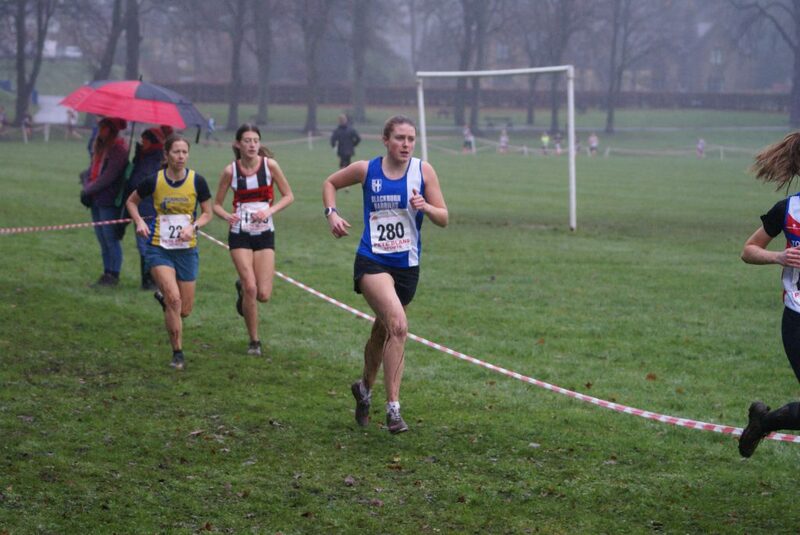 The Club’s Senior Women won the Team Race on the day to take the Team Title for the year. 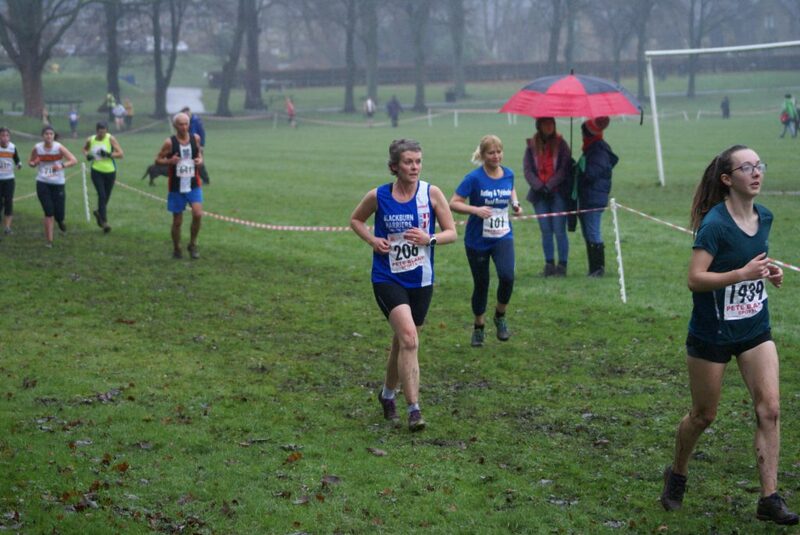 In addition they won the Vets Team Title for the year and had Carmen Byrne as winner of the V40 Series and Jonanne Nelson as Winner of the V45 Series. 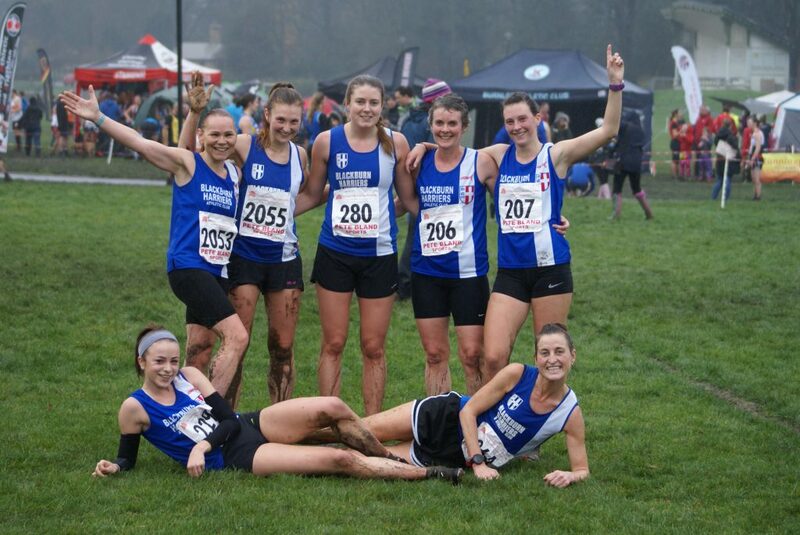 An understandably delighted Team Captain Joanne Nelson commented afterwards on the performances of the Team “Harriers ladies smash it at Red Rose Cross Country series!! 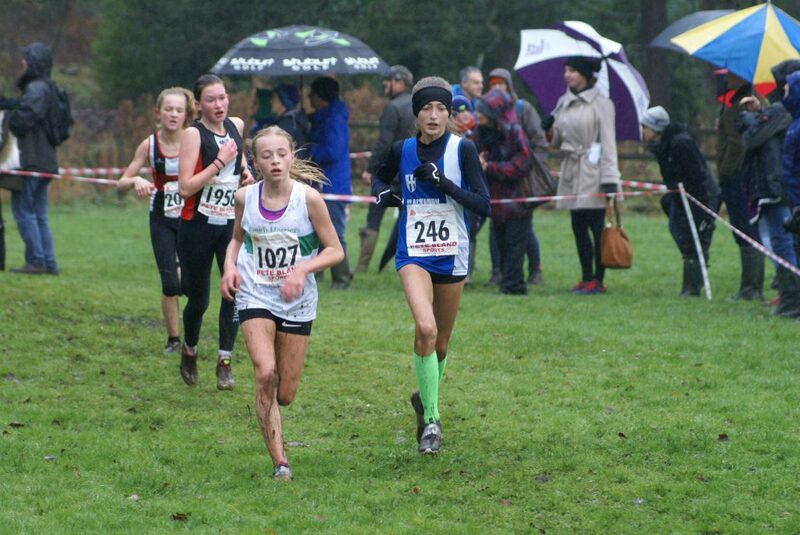 Not that I like to exaggerate, but the girls did well. 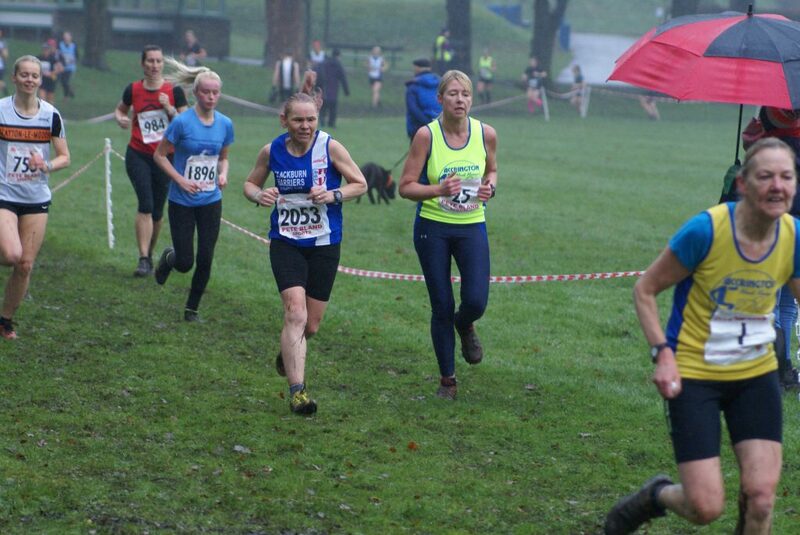 1st vet 40 – Carmen, 1st V45 – myself, first team in the series and first vets team. 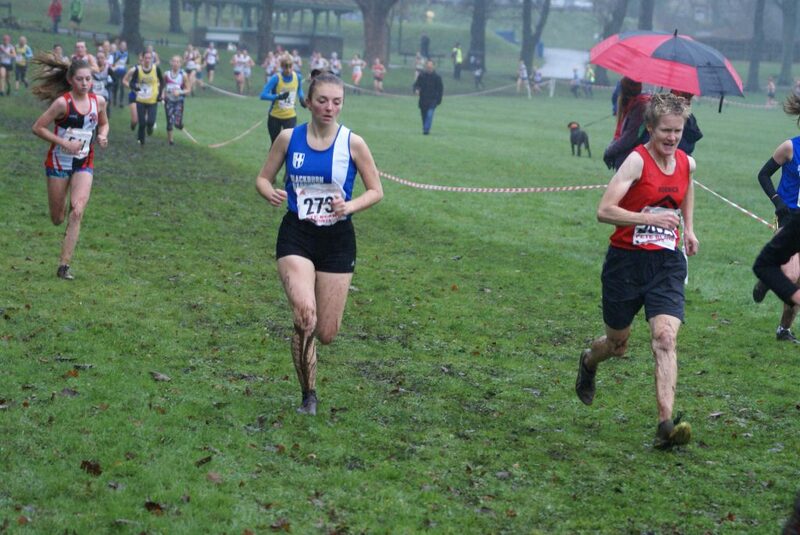 The last race at Todmorden was certainly a challenge, with hills, mud, and more hills. 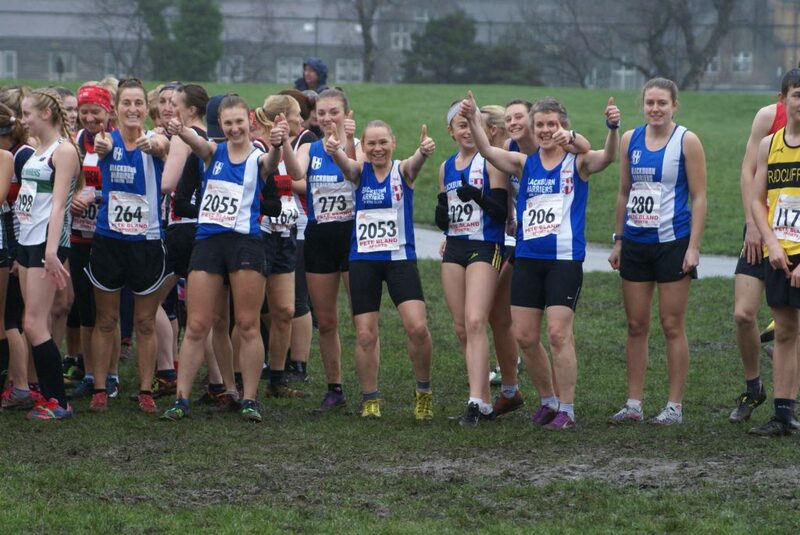 A fabulous turn out by the women and great team spirit. The ladies should be extremely proud of themselves. 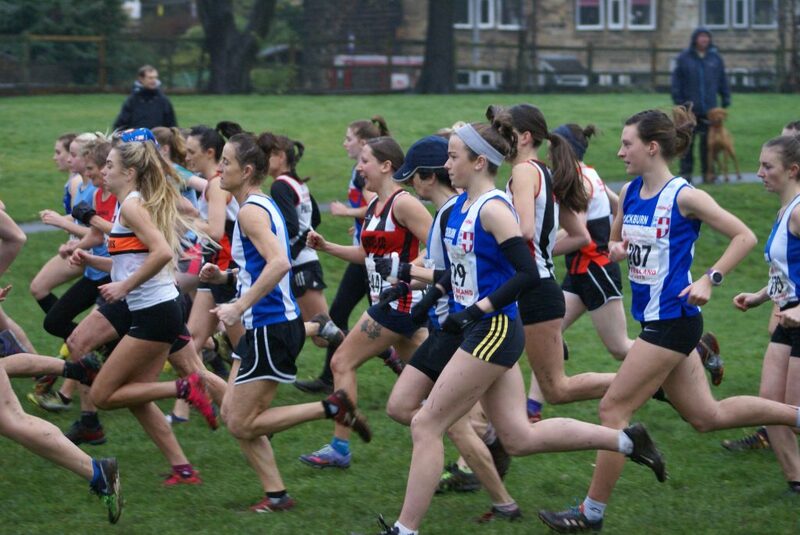 Roll on next Saturday at Hyndburn to take on the Mid Lancs fixtures”. 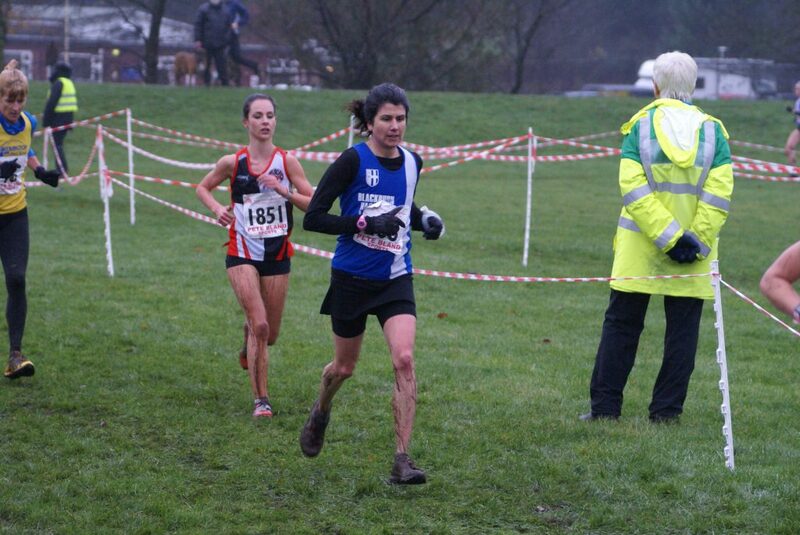 In the Senior Women’s Race, Katie Buckingham had another fine run taking 4th place overall in a time of 23.12 to lead the Harriers Team to the win. 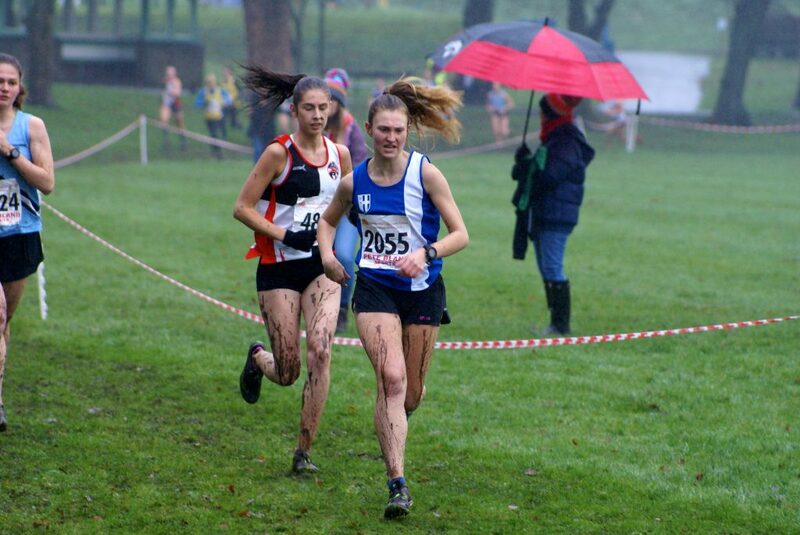 Great packing by the Harriers saw Joanne Nelson finish 5th in 23.24, Annabel Ralph 9th in a time of 23.52, Carmen Byrne 10th (23.53) which gave the team four out of the top ten places. 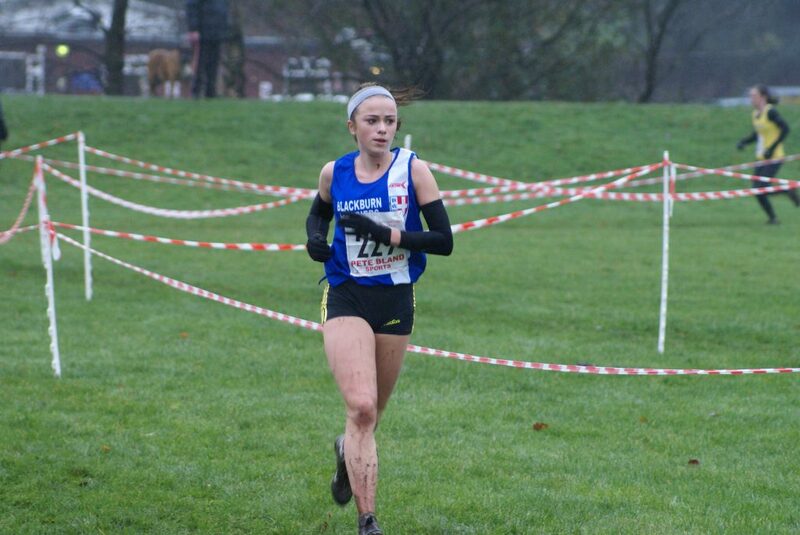 Maddie Elliott was next across the finishing line in 13th clocking 24.31, followed by Ellen Sagar Hesketh in 15th spot with a time of 24.38, Lindsay Davies in 34th place (26.48), just two places behind in 36th – Rebecca Shorrock in a time of 27.03, her first race for a long time following surgery and Jan Buckingham in 76th running a time of 31.34. 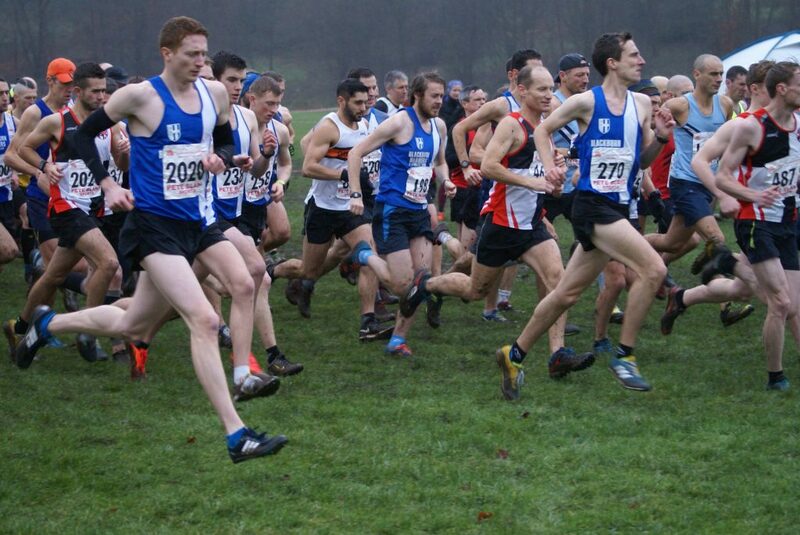 There was a cracking race in the Men’s Senior Race which saw Bury just pip Blackburn Harriers by three points on the day. 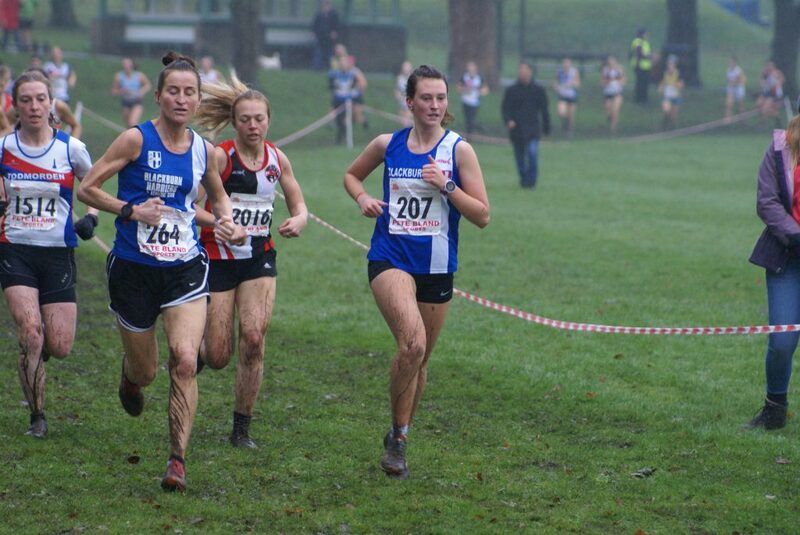 The Harriers had their first six counters in the top fifteen places (4th, 8th, 9th, 10th,13th,15th), but was just not enough as Bury had the race winner and five others in the first seventeen places (1st, 5th,7th,12th,14th,17th). 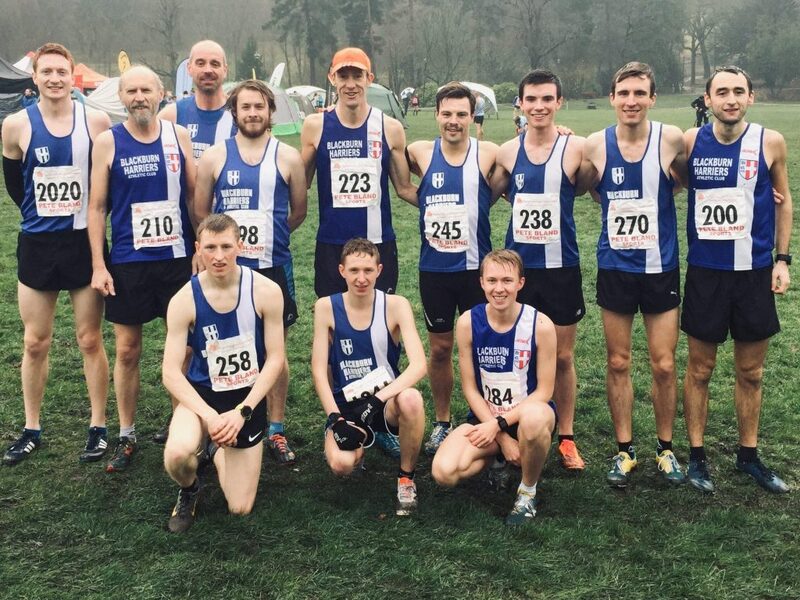 Finishing 2nd on the day, the Men’s secured the 2018 Series Senior Men’s Title, retaining the Title they won in 2017 and 2016 after finishing 2nd in 2015. 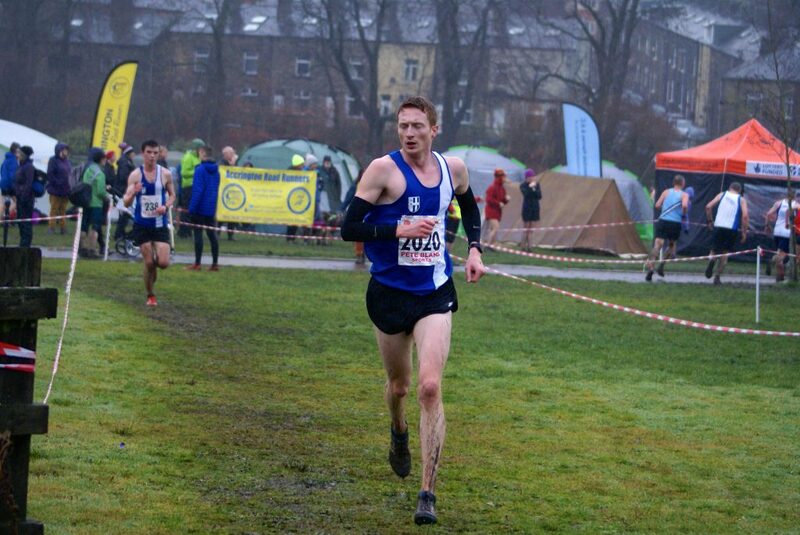 In the early part of the Race, Tim Raynes was leading the field which settled down eventiually to a battle between Tim, Rob Webb from Rossendale and the two Bury lads, Oliver Makinson and Ben Coop and Luke Betts. U20 Oliver Makinson gradually took over the lead and never looked back as he ran out a very good winner in a time of 37.35. 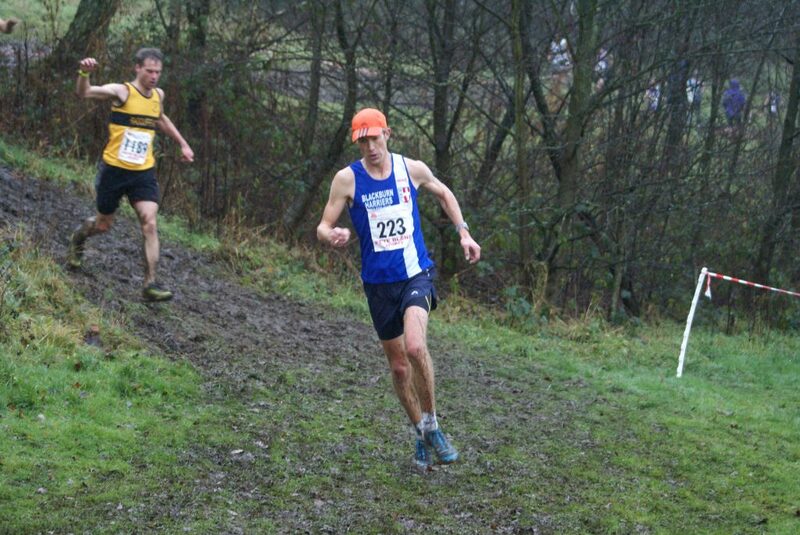 Tim came home in 4th place (38.02) which secured him a deserved Series Individual Title after winning at Leigh and Bolton. 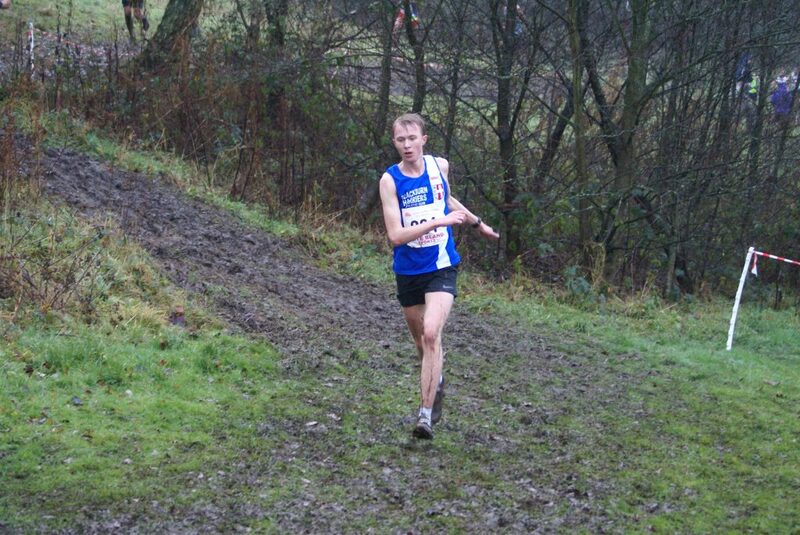 Added to the Series Individual and Team Titles, Chris Davies won the V40 Title for the Series. 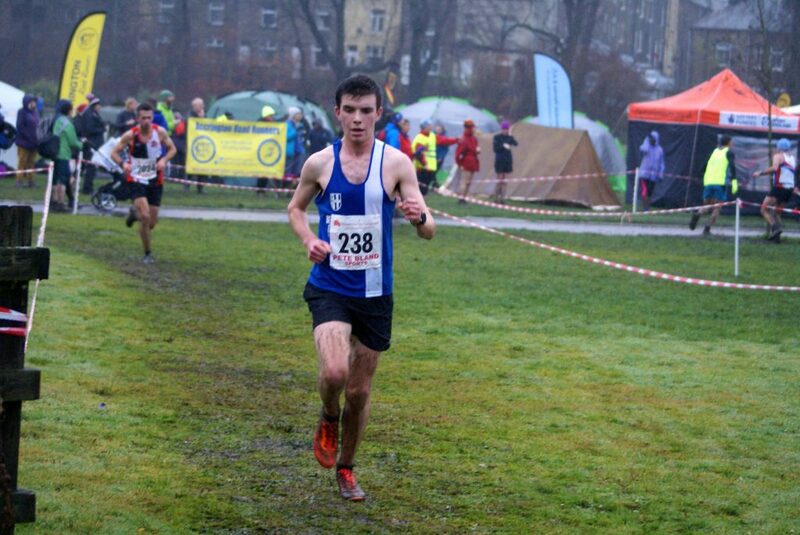 Next home for the Club came U20 Tom Marchant who had a very good race, finishing in 9th place in a time of 39.39 and 2nd U20 with Dominic Walton – in very good winter form – just one place further back in 10th (39.51) and Chris Davies in 11th clocking 40.23, a run which saw him win the V40 category on the day. 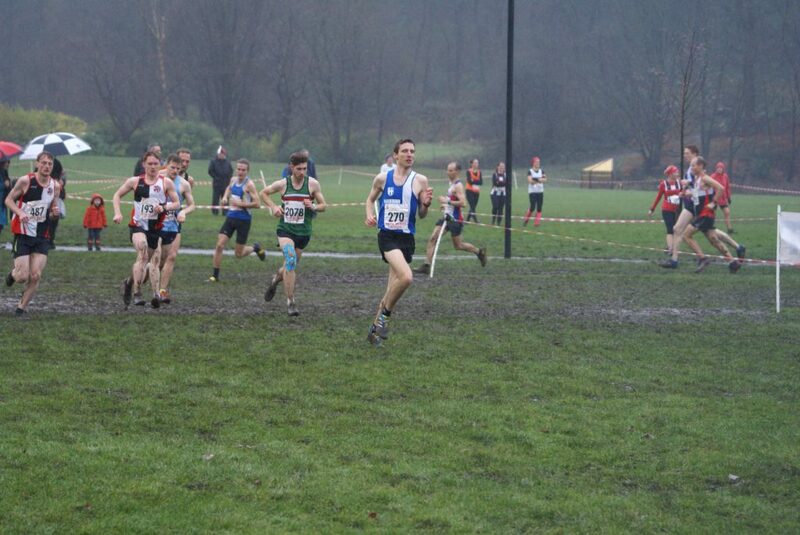 Really good packing from the lads had Tom Blaney across the line in 14th place (40.36) with Calum James two places further back in 16th (40.39) and U20 Joe Gebbie right behind in 17th clocking a time of 40.46 and 3rd U20 on the day. 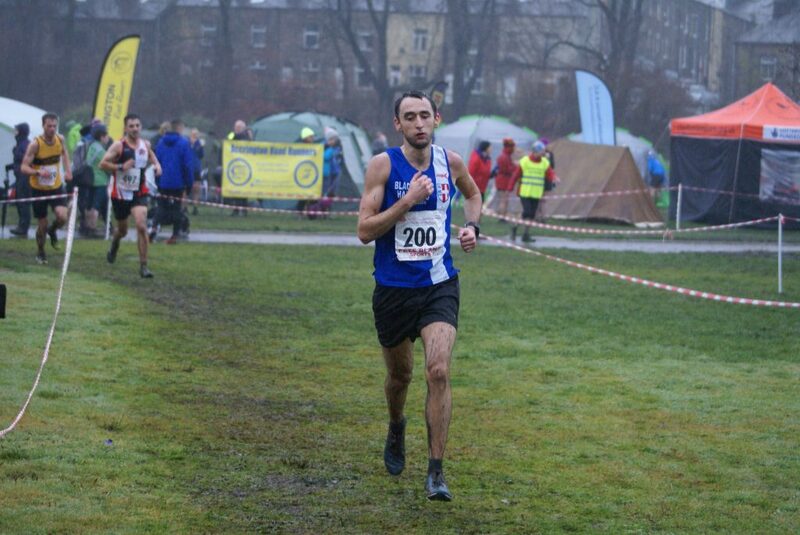 Marc Hartley came home in 23rd place in 42.27 followed by U20 Nick Smith (31st) in a time of 43.42, V60 John Chaplin in 107th position running a time of 53.15 and Danny Teare in 123rd place (55.59). 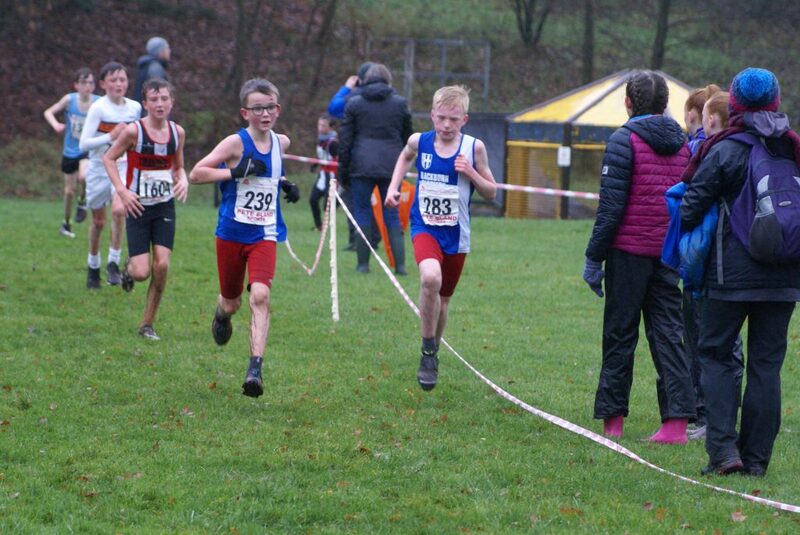 With concentration for the Juniors on the Mid Lancs Cross Country League and Blackburn Schools Cross Country in the morning, there weren’t a lot out today, however, the U11 Boys managed to secure a runners up spot in the Series Team Title coming second to Trawden. 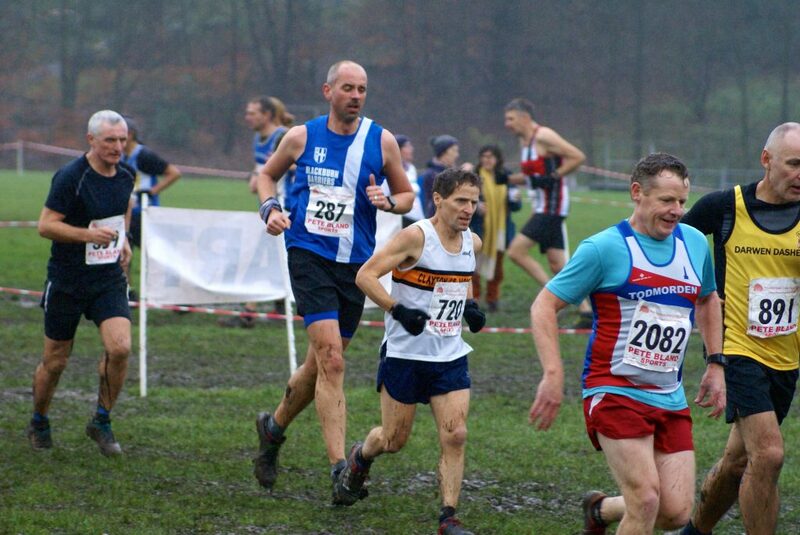 ‘Pocket rocket’ Sam Aspey led the lads off to a very quick start to take an early lead but as the race settled down, the three Trawden lads made their way to the front and stayed there. 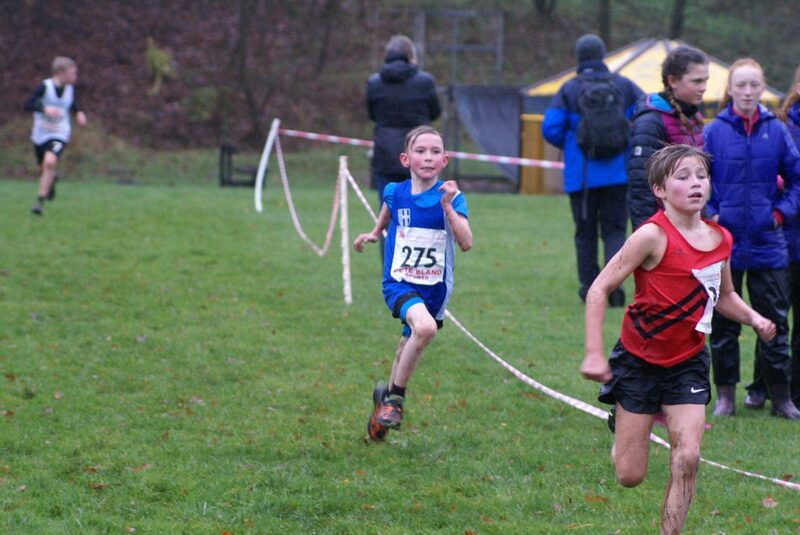 Sam came home in 4th place with an excellent run clocking 6.44 followed by equally good runs for Oliver Gill in 7th place (7.01) and Matthew Smith in 8th and being given the same time as Oliver – 7.01. 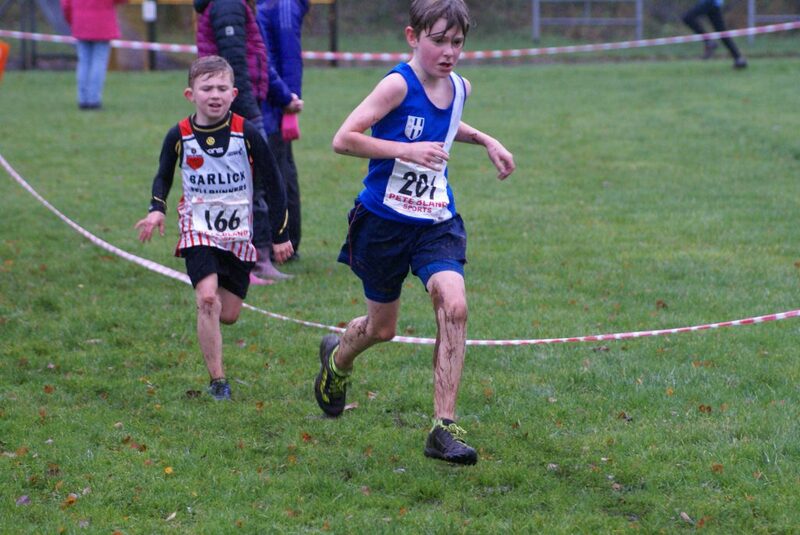 Archie Bolton – in his first season on the cross country enjoyed himself as he ran 8.15 in 49th position with George Holman placing 59th out of the 84 strong field in a time of 8.35. 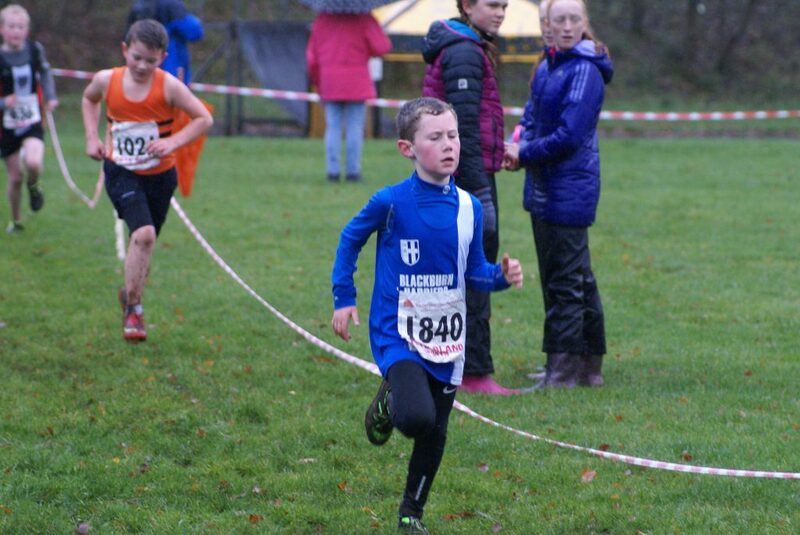 Keith Gill who looks after the U11 Boys at these fixtures summed up the day, commenting “The U11 Boys started the day in 5th place in the Team competition and knew a good performance would move them up the order. 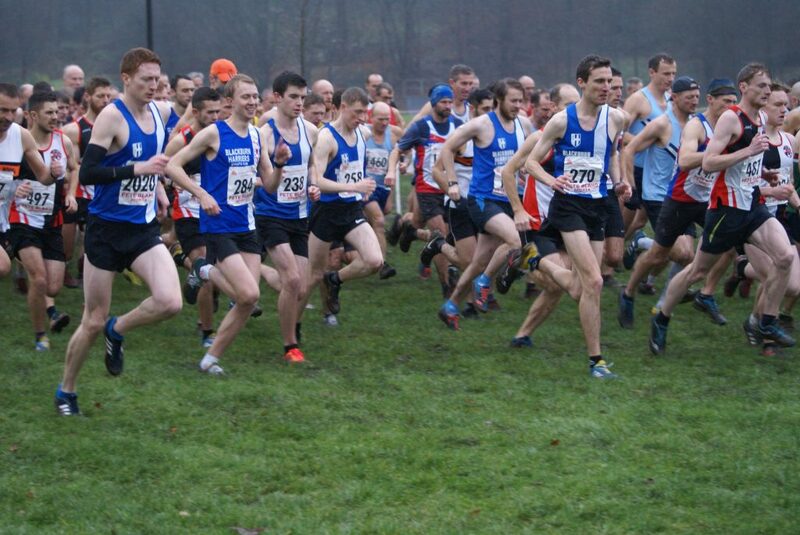 With Sam making his Red Rose debut the Team looked really strong. Making their intentions clear Sam and Matthew got flying starts and set the early pace. 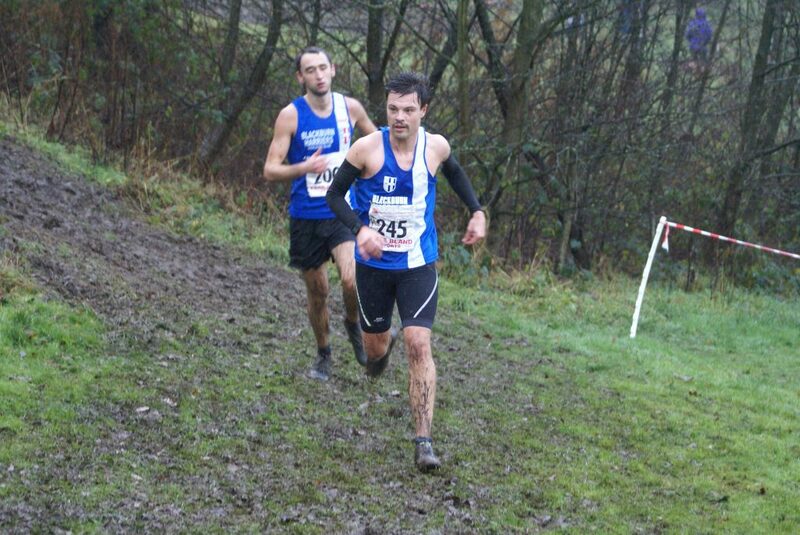 Great runs in the hilly section followed by exceptional finishes meant all the boys placed well. 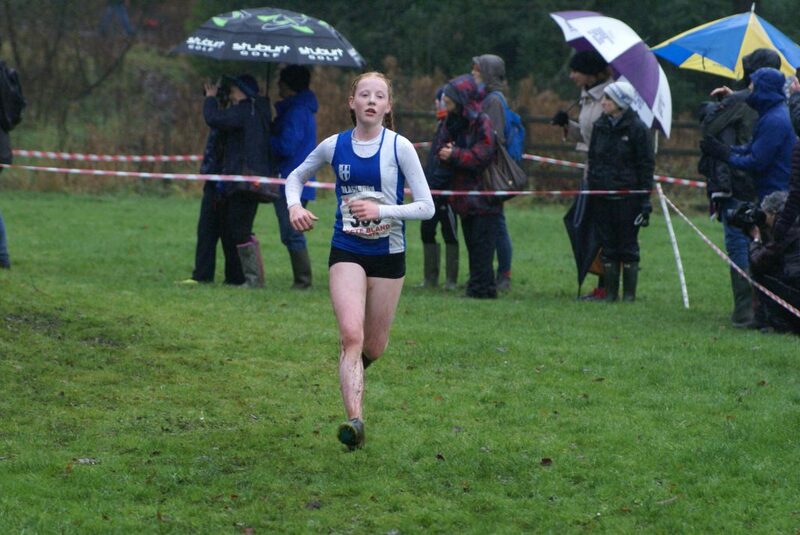 First Harrier home was Sam in 6:44 winning a finishing straight sprint off to 4th place. Oliver and Matthew finished together in 7:01 for 7th and 8th holding off a group of chasing runners. 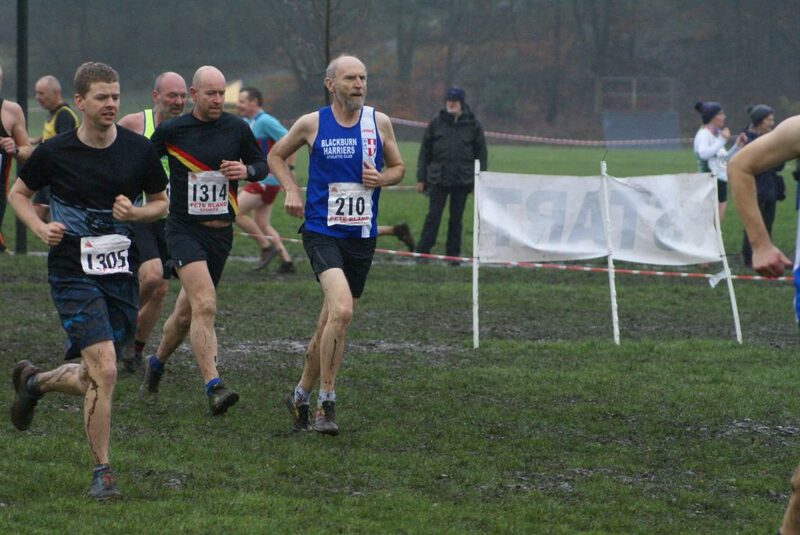 Archie was next home with 49th in 8:15 and George 59th in 8:35 to complete the Team. 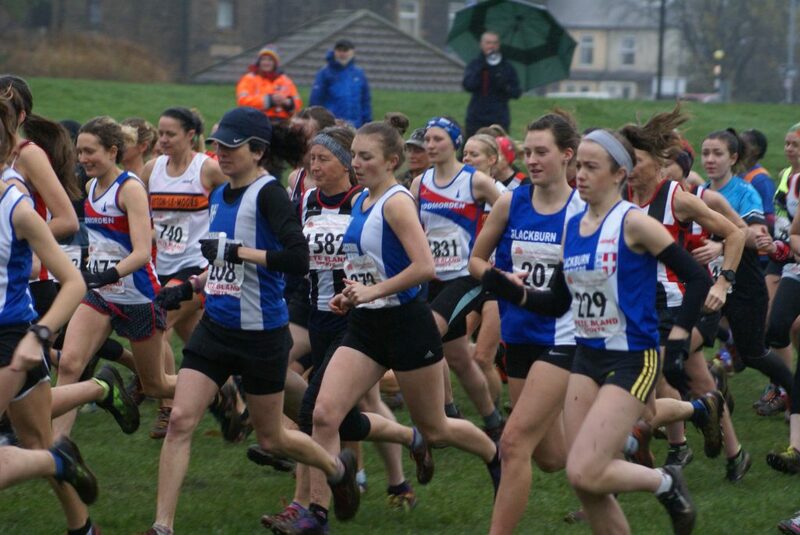 4th, 7th and 8th was good enough to move the Team into 2nd place to finish behind a very good Trawden Team. A great result which has been fantastic to watch and really is a reward for the hard work over the season from the boys and the coaches”. 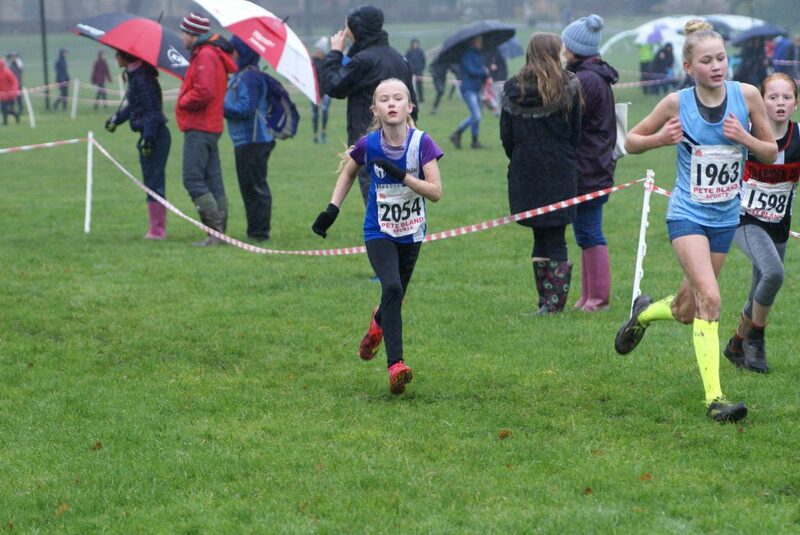 Just one runner in the U11 Girls which saw Hannah Davies place 21st out of 73 runners in a time of 8.14 and just two runners in the U13 Girls – Keira Haxton and Caroline Woodworth – Keira coming across the line in 23rd place in a time of 10.06 and Caroline placing 36th clocking 10.28. 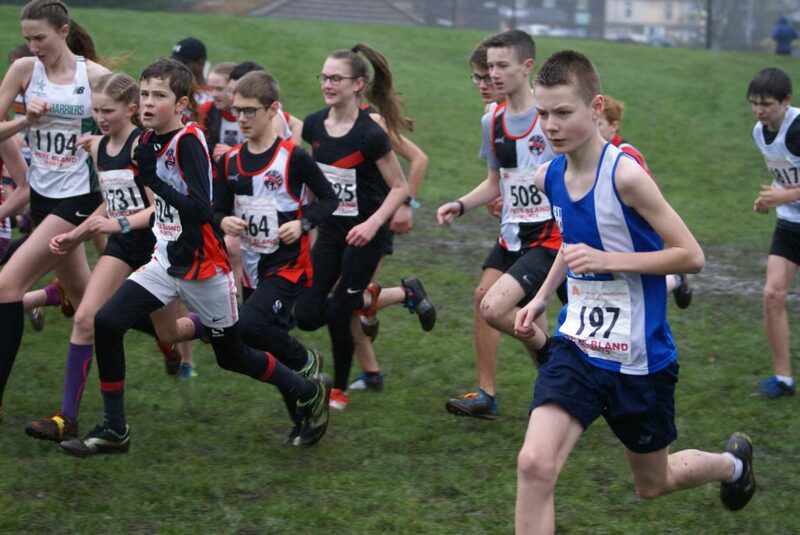 The U13 Boys also just had one runner – Daniel Smith maintaining his good form from the presvious fixture at Rossendale as he placed 9th overall in a good time of 9.01. 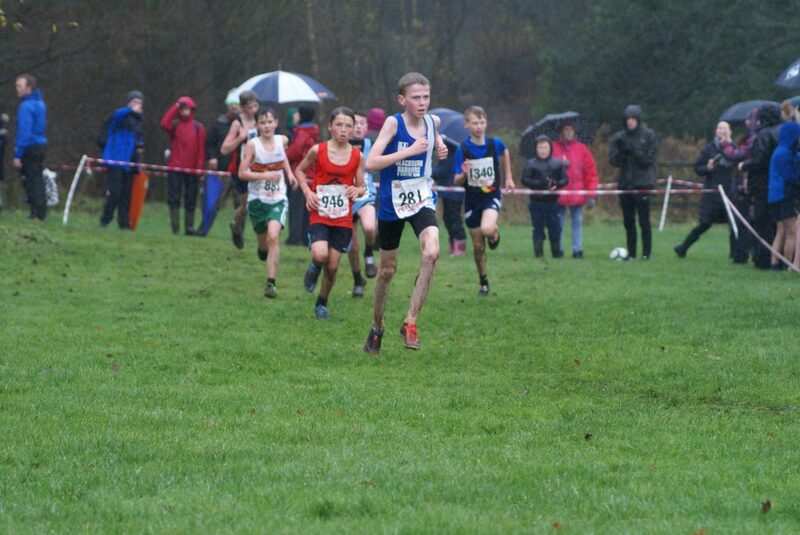 Ethan Barbarewicz was the sole runner in the U15 Boys and he also ran well to come home in 10th place with a time of 17.25. 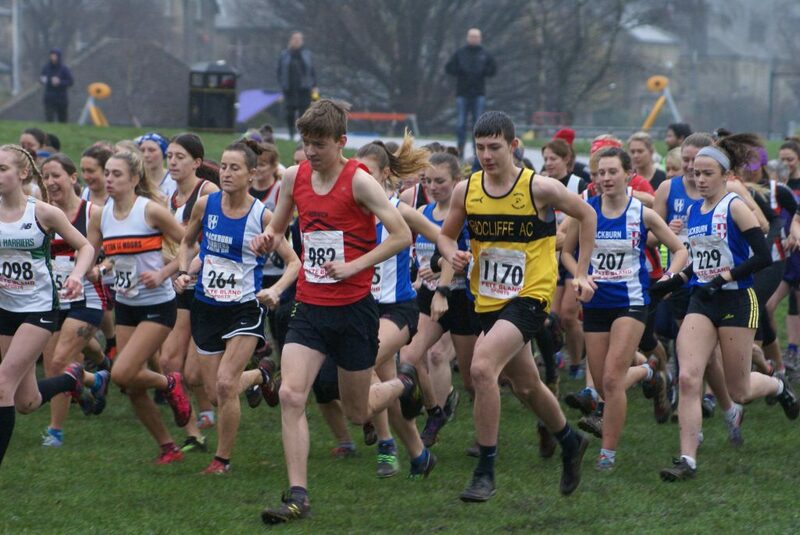 The latest of the Podium 5k Series, set up to enable fast times had seventy three athletes in the ‘A’ Race won by Jamie Webii in a time of 14.33 and fifty six in the ‘B’ Race won in 16.56 by Toby Middleton. 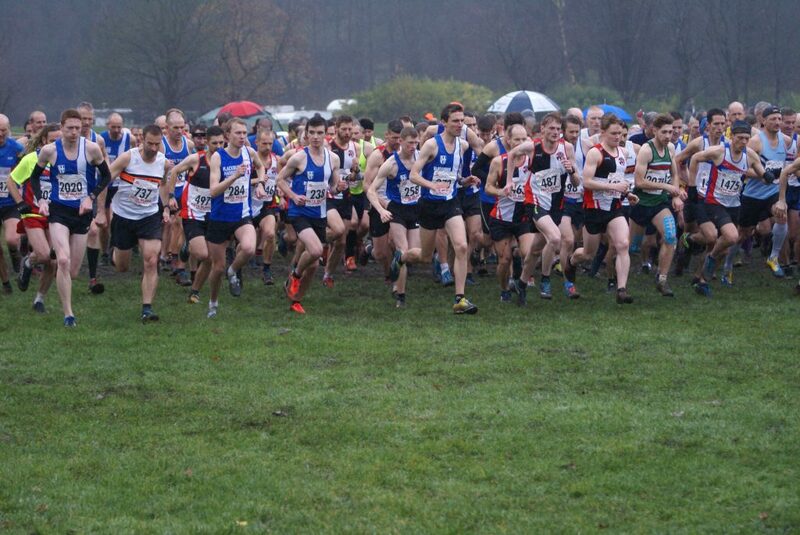 Ben Costello, Jack Hindle and Jacob Watson ran in the ‘A Race for the Harriers which saw Ben set a new PB by nine seconds, finishing in 24th place with a time of 15.31. 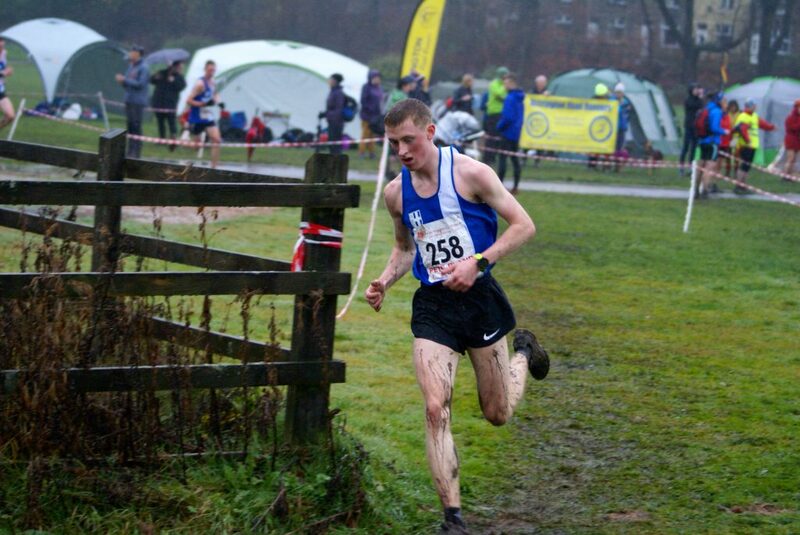 Jack was just outside his personal best as he as he came home just one place behind Ben (25th) clocking 15.35. 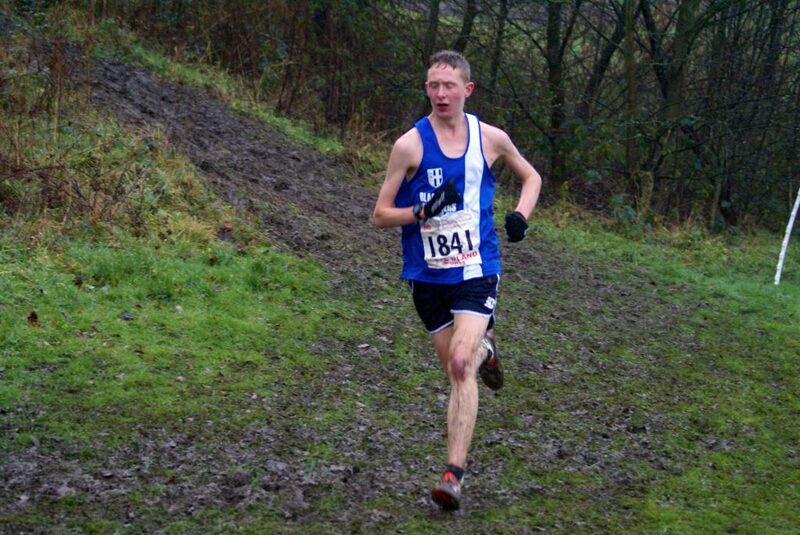 Jacob had a belter of a run too as he reduced his personal best from 16.48 to 16.17 – a new PB by pver half a minute in 43rd position.